The View Across Town: Our evening will consist of couch time & the Puppy Bowl! 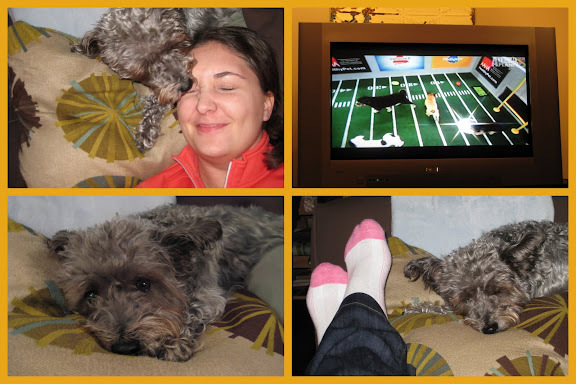 Our evening will consist of couch time & the Puppy Bowl! Look for 3 images that tell a story, and make a set of photos that go together. My neighbor's car now has teeth! What happened to this baby? I left school just in time to see this! The best Valentine I got this year! It's almost like he was HERE, talking to ME! This tree ALWAYS makes a great photo! Low in fat, but high in taste!